Don’t be surprised if you haven’t heard of Trugole before. I hadn’t, but now I’m glad I found it. 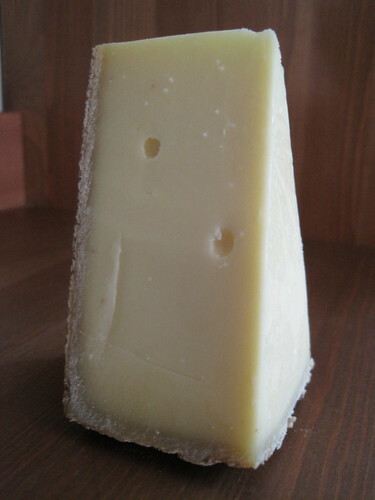 This Alpine cheese is made in Italy’s Asiago region – ah! you say, I’ve heard of Asiago – but it’s nothing like the cheese you find on bagels at Bruegger’s. 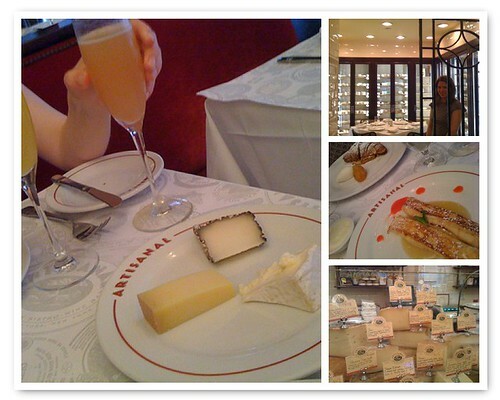 Instead, it has a creaminess typical of cheeses made from cows that roam rich pastures. 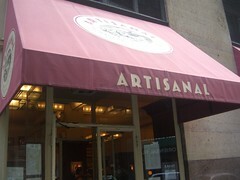 Way better than those stale bagels. 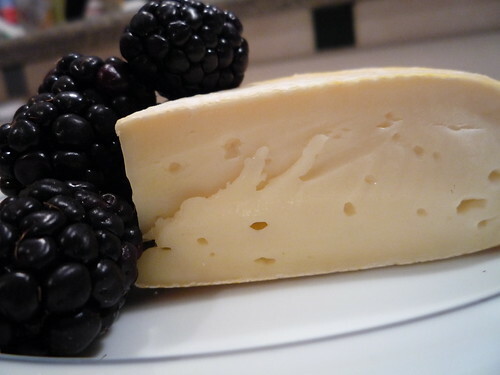 Trugole is a raw-milk cheese that is aged and washed for at least two months, but it has no funkiness or yeastiness. 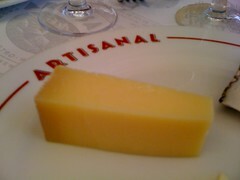 In fact, the taste is so smooth and mild that you’d think I’d be bored with it a la last week’s experience with Morbier. But there’s something about that creaminess that keeps me coming back for more tastes. I can imagine Trugole melted over a rich, brothy soup like French onion or draped over a piece of nutty toast alongside a mug of tomato soup. Suggested wine pairings are Pinot Grigio and Pinot Bianco, but to me, this cheese tastes so pure and basic, I’d skip the wine and focus on food pairings instead. Since Jill is our resident Wisconsin expert, I’m working on becoming the Vermont cheese guru — as several Vermont cheesemakers are represented on the Wine Spectator list, and they seem to be more readily available in DC area cheese shops than in the Midwest. (One of these days I’ll actually get up there myself, but in the meantime you can join me in living vicariously through Cookography‘s Vermont cheese tour. ) 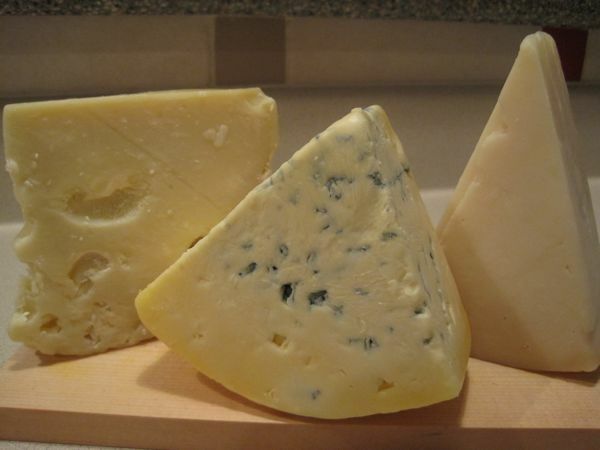 If you do spot Vermont’s fine cheeses in your local shops, definitely give them a try. The crisp Vermont air adds something to our East Coast dairy state’s milk that you generally only find in Europe’s Alpine cheeses. This week’s Vermont Ayr is a fine example. This semi-hard aged cheese has the sweet, musty aroma of ripe pineapple, and the sweetness is evident in the flavor as well. The Crawford Family Farm’s small herd of heritage-breed Ayrshire cows – meet a few of their cows on the website – graze on a blend of clover and alfalfa, and produce a high quality, high butterfat (and rBST-free) raw milk used solely for their signature cheese, Vermont Ayr. The Crawfords, three siblings who took up cheesemaking to save the family dairy farm, carefully choose only the highest quality milk from a select few of the cows for each batch of Vermont Ayr. 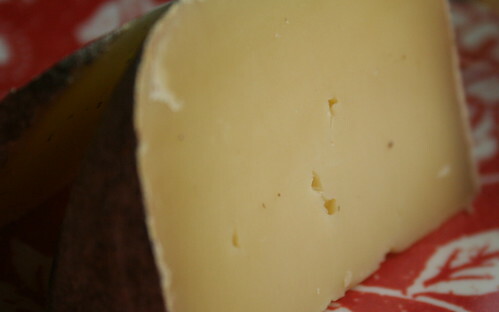 The curds are cave-aged three months, resulting in a sweet, slightly nutty, smooth cheese. 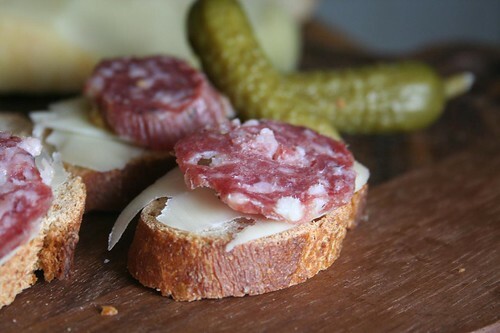 Delicious on its own, or with a crisp Riesling that balances the cheese’s sweet notes. Hailing from the lush Savoie region of France, Fleur des Alpes is a nutty cow’s-milk cheese that’s easy to enjoy. Yes, it has that earthy, funky smell most washed-rind cheeses emanate, but that’s partly what makes it so good. That stinky-cheese smell usually signals to me that this cheese means business. 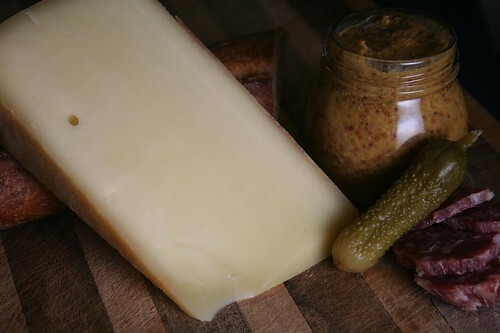 After sitting at room temperature for an hour or two, Fleur des Alpes doesn’t develop a runny interior, but the toothy, even rubbery texture is still pleasing in the mouth. Paired with a hearty bread and some fruit, the cheese would be a satisfying snack before a hike – or a serious day of shopping. As for wine pairings, Wine Spectator recommends a dry Riesling from Alsace or Austria. Steven Jenkins suggests a fruity red for its counterpart, Reblochon, so I assume one would also be suitable with Fleur des Alpes. The butteriness of the cheese might be too much when paired with a sweet wine. If you want to add a sweet note to your snack, choose fresh berries as an accompaniment.